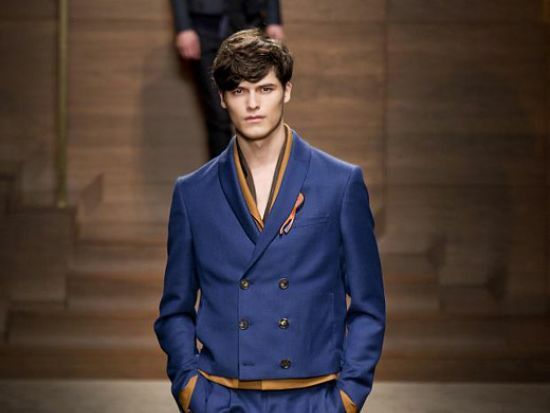 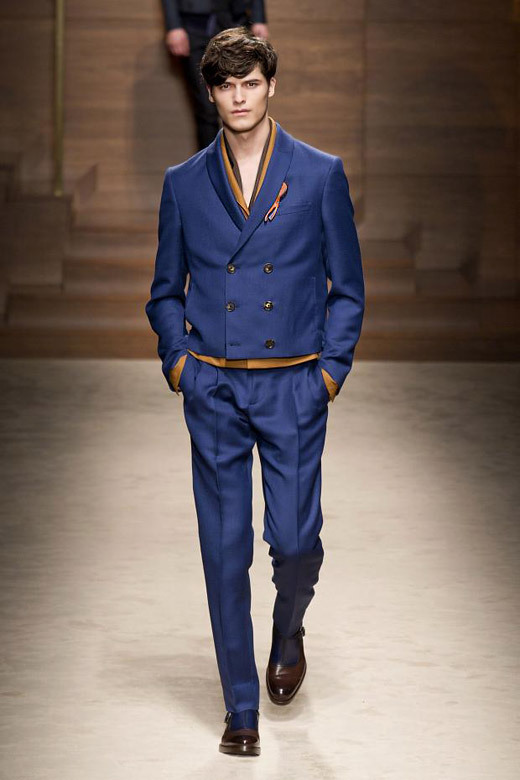 The words that best describe the collection are pure class and rich colors, symbolizing the nature of the real gentleman. 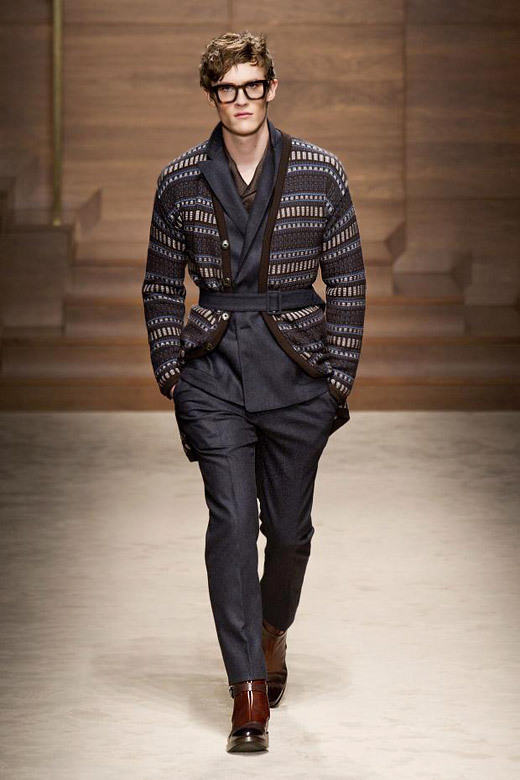 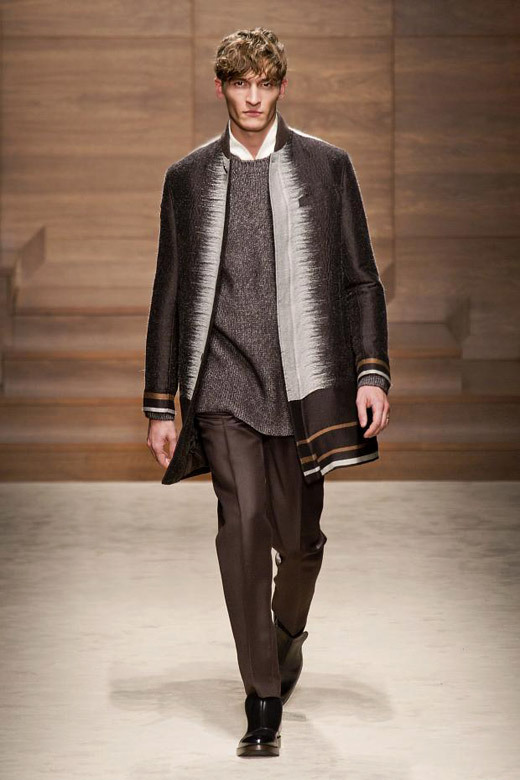 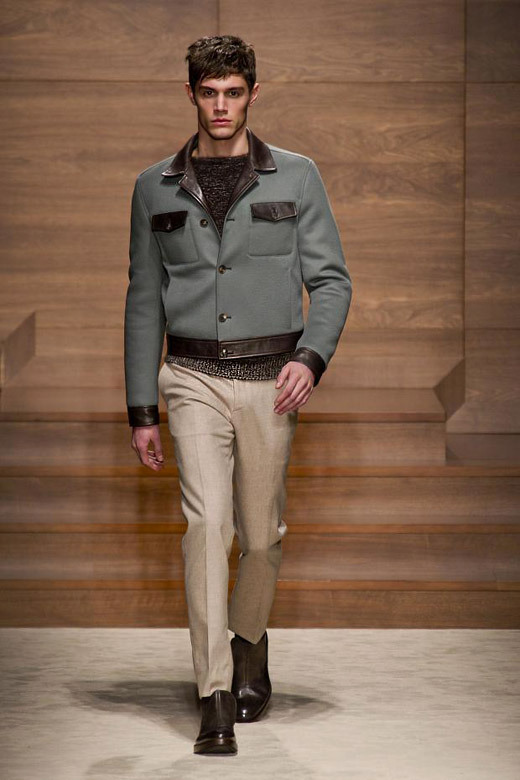 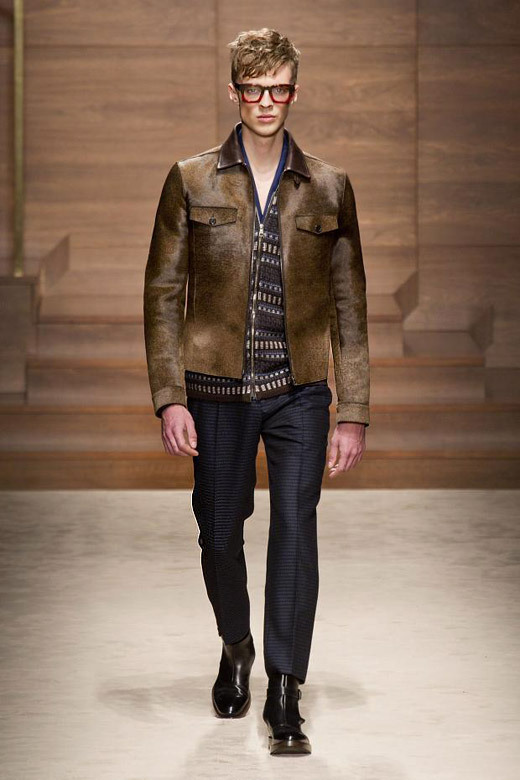 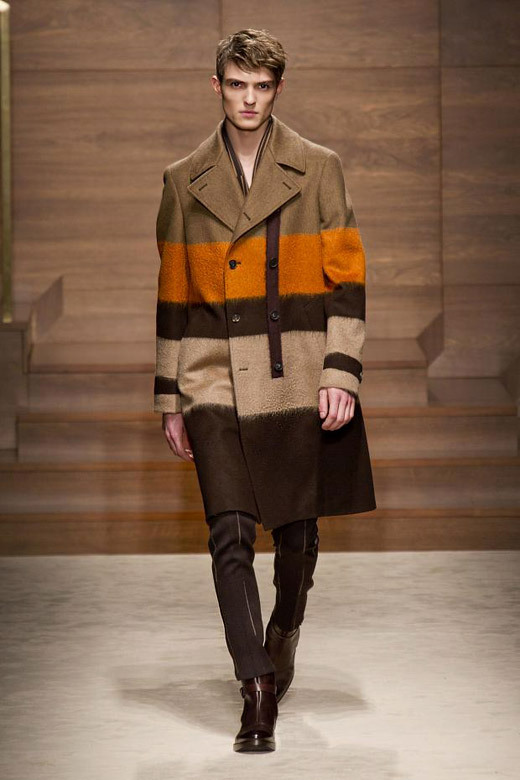 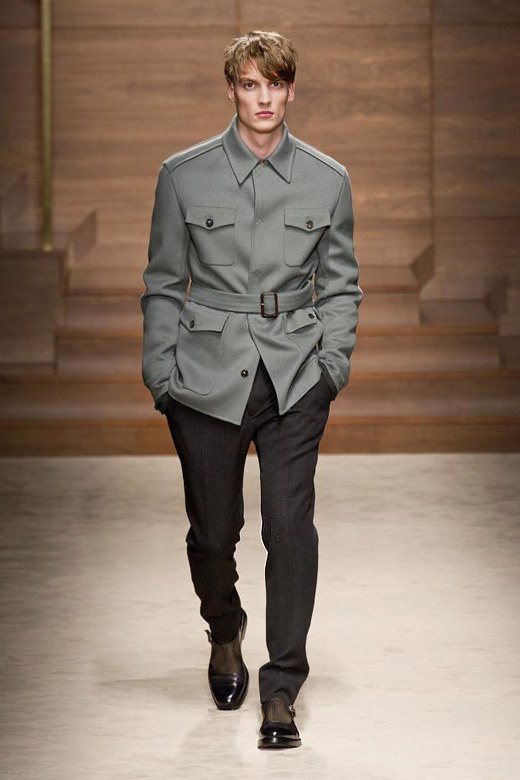 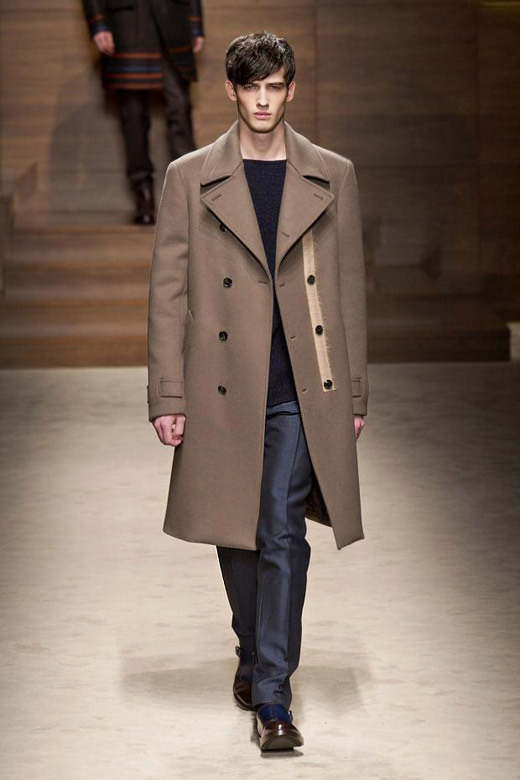 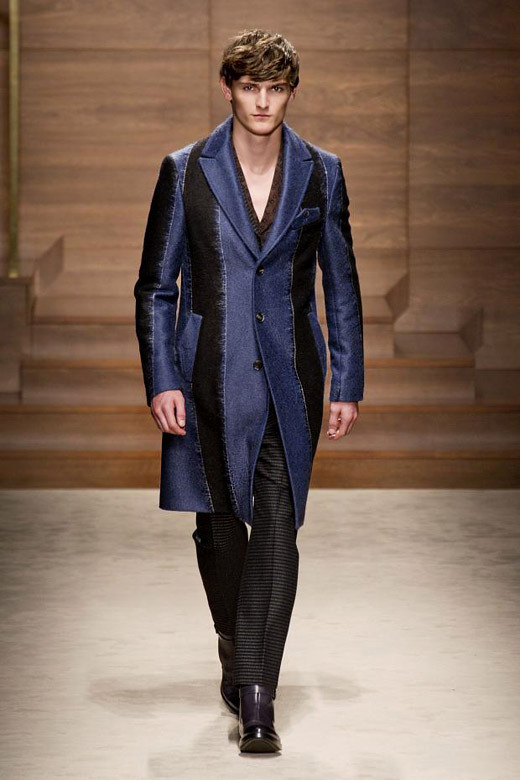 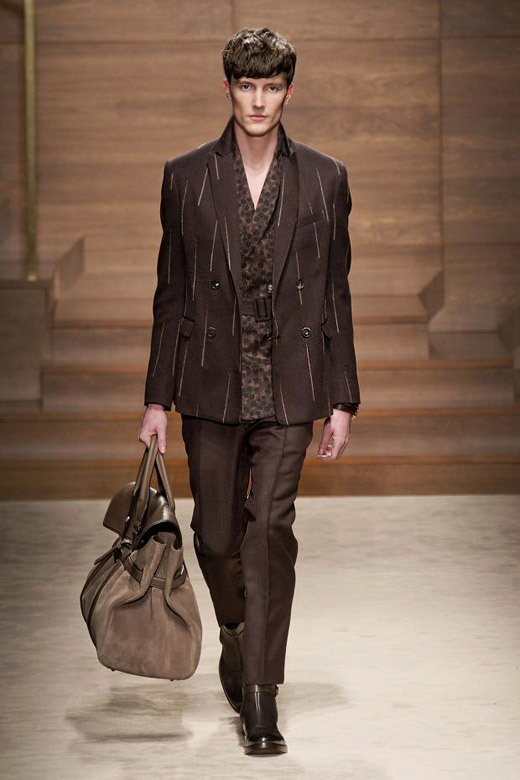 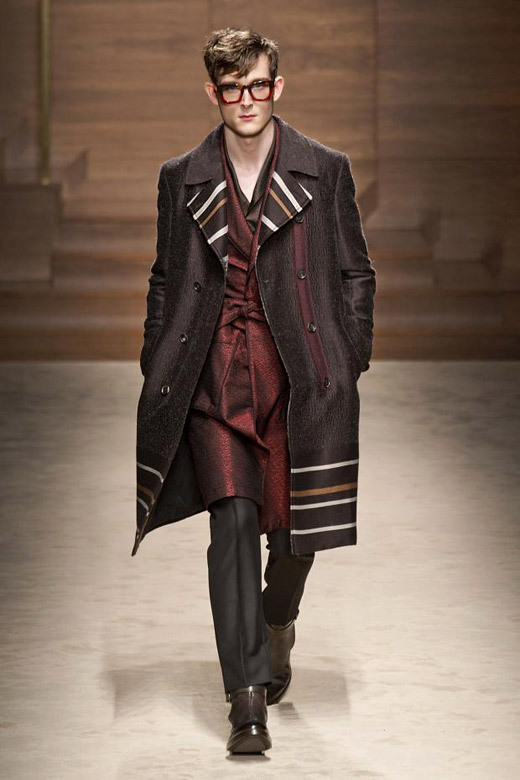 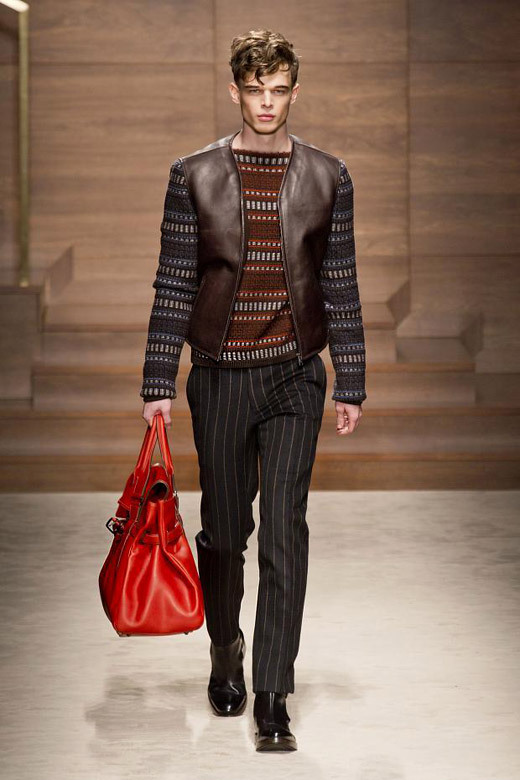 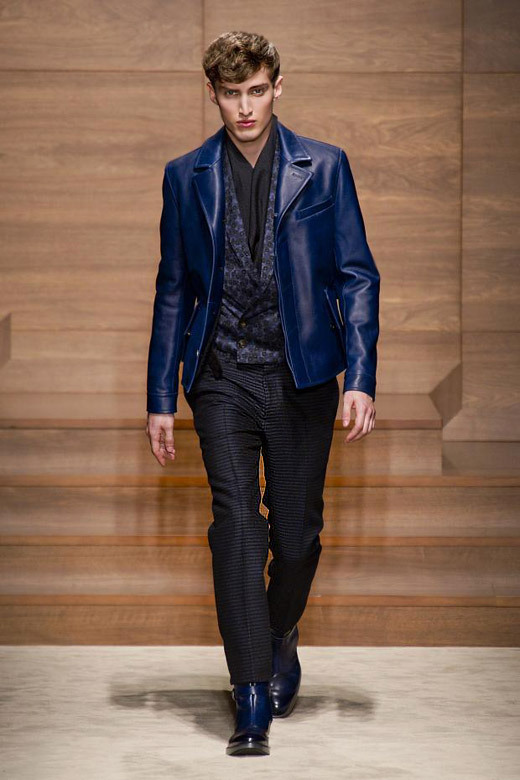 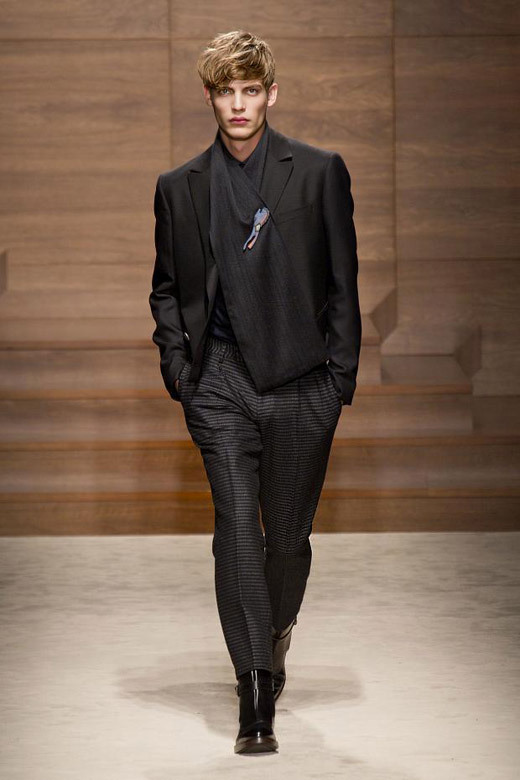 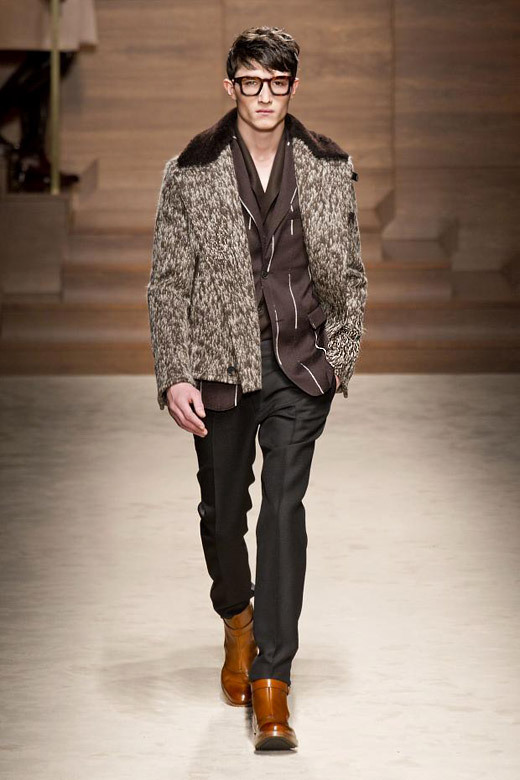 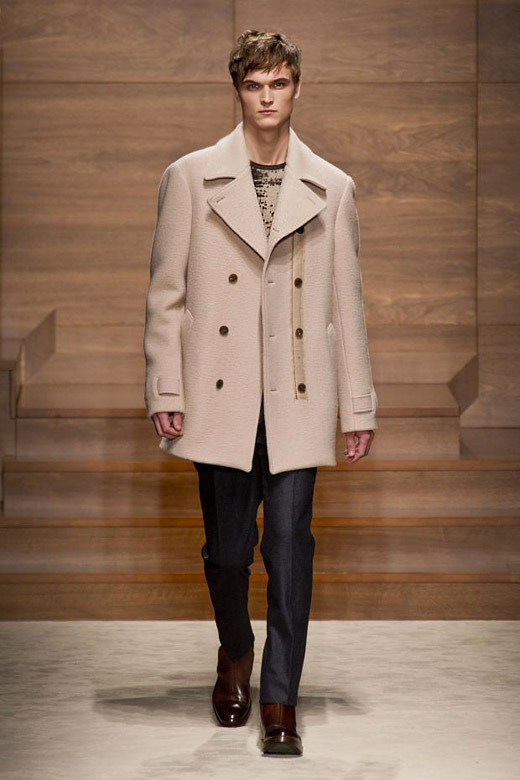 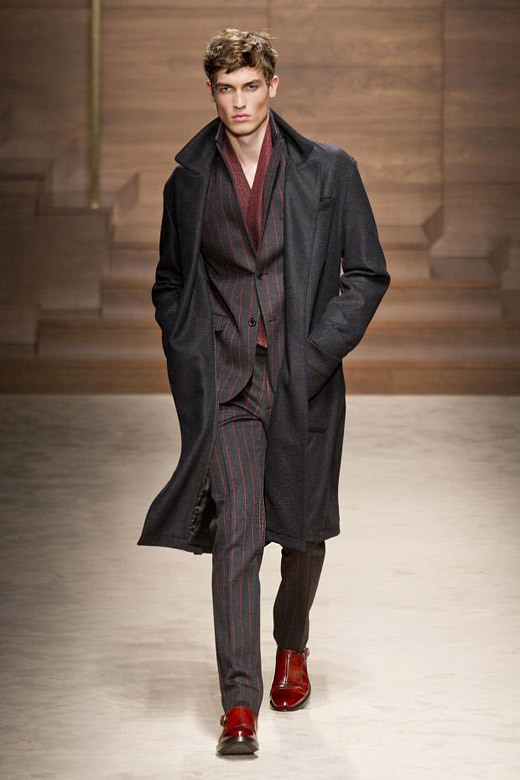 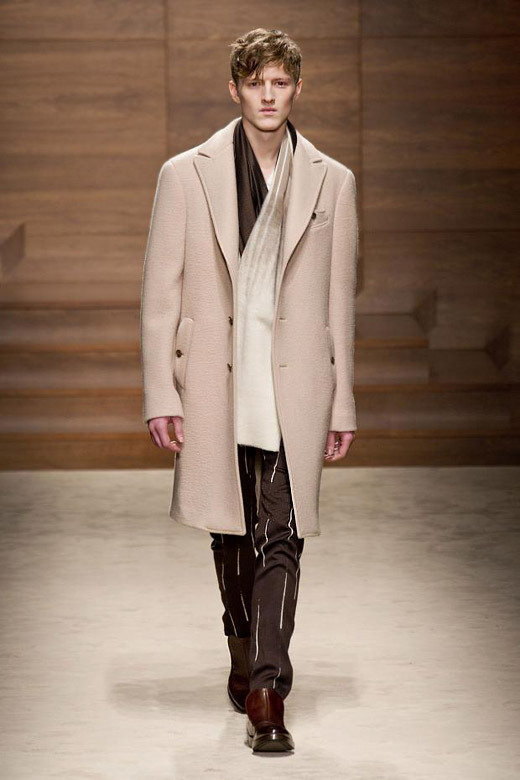 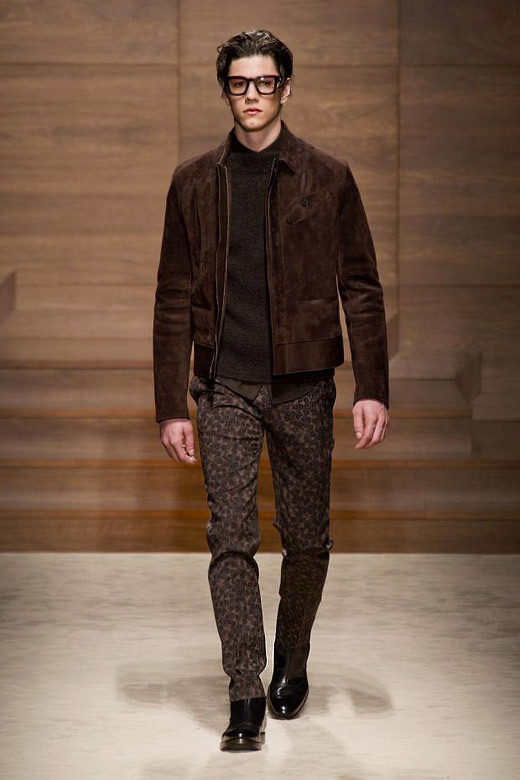 Salvatore Ferragamo's rich in textures and prints and focused on the shapes collection includes: pleated trousers, double-breasted coats, leather jackets, matching suits, trench coats and woolen coats, a hint of vintage romanticism, bars of color and running lines. 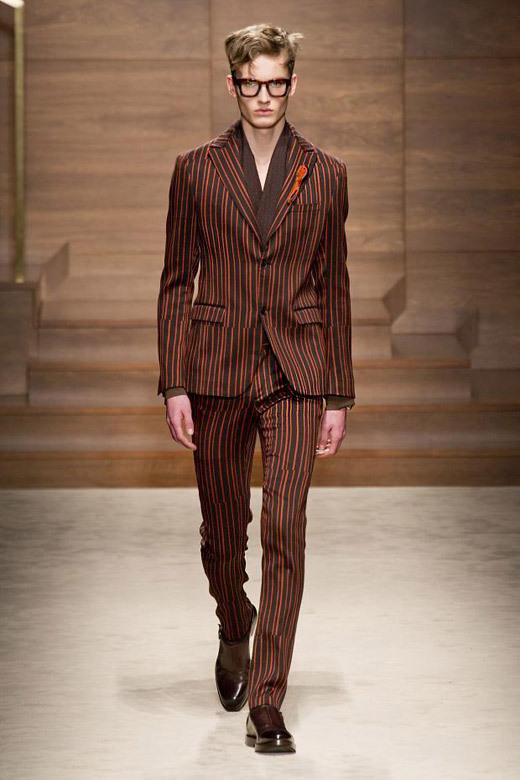 In the pinstripes, reminding the '20s gangsta glam, not all lines were completed, which mixed this old-fashioned yet traditional print with notes of modern chic. 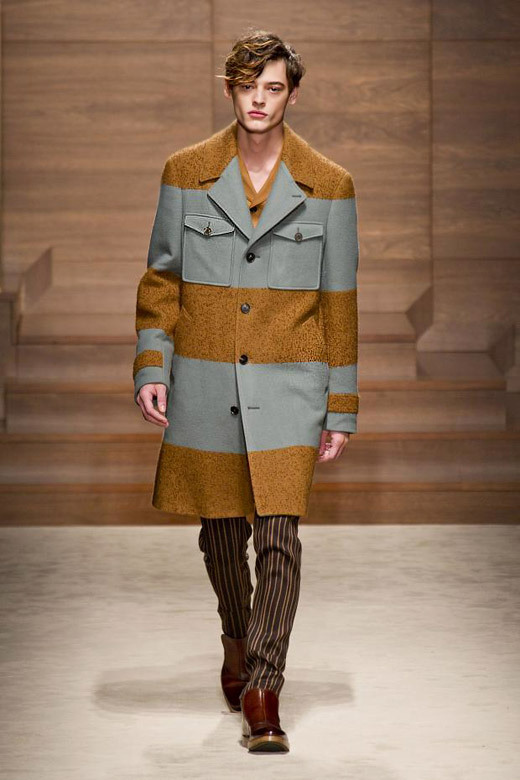 The color palette includes mainly shades of blue, brown, cream, gray and some orange.